Learn the 1-2-3 of landbot building, from how the chatbot builder mechanics work to how to preview your creations. Landbots are all about blocks connected with arrows. Create a new one by clicking on the left menu, or drag it and drop it over any other block to automatically connect both. Send a Message. The most used block type: use Send a Message blocks to send text, emojis, images (JPG, PNG, GIF) or a Youtube video. Learn more. Ask a question. Want to get an email, address, or any other information from your visitors? Select this type of block and the answer will be automatically stored in your landbot's database. Learn more. Power-ups. Feeling techy? Try our power-ups to design complex actions like agent assignation, Zapier integrations or Conditional Jumps. Learn more. Start message. The welcome message is common for every landbot: the first message that starts the conversation. 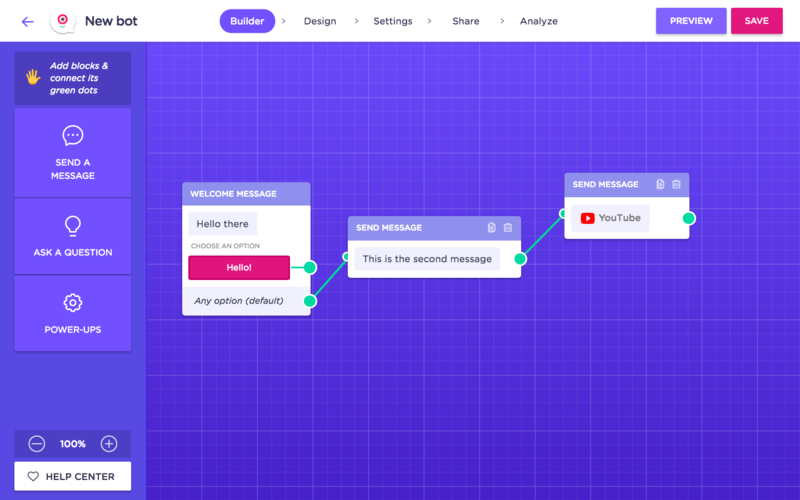 You can't remove it and the input entered by the visitor to start the conversation can't be stored, but you can click on it to customize the text and select between adding buttons or a text area for users to start the conversation. The button PREVIEW at the top right of the builder - it actually appears on every section - to let you try your landbot in a safe environment. 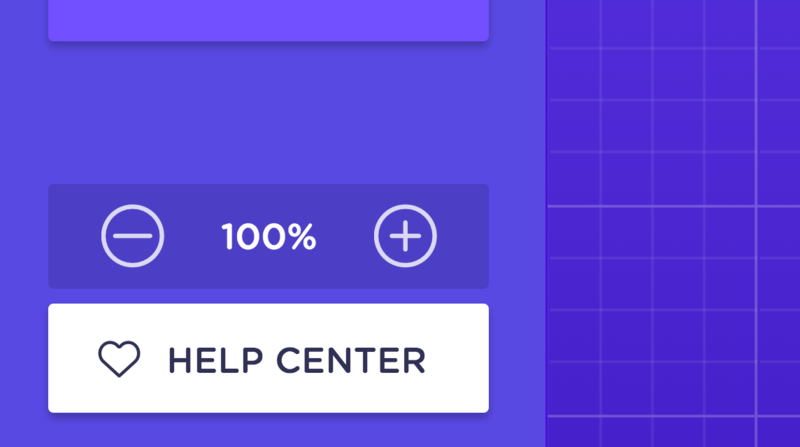 Also, although when you move from section to section changes are auto-saved, you'll find the SAVE button to make sure you do it manually every once in a while so you don't lose any major edits due to that inconvenient storm!